We're so excited about NEWEST ANTI-AGING treatment! 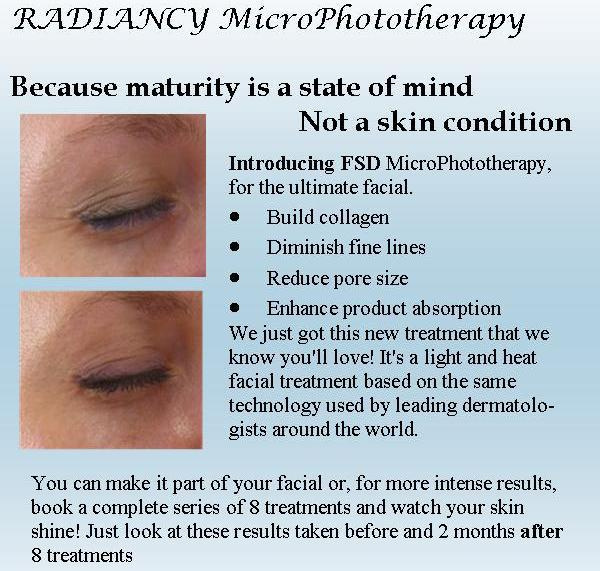 This by far is the most popular anti-aging treatment we offer! Why? Because it addresses so many things; the skin becomes visably firmer, smoother and luminous. When done in a series sun spots and wrinkels are greatly diminished and your skin has a more youthful glow. We even recommend this as a wonderful way to rejuvenate your hands.